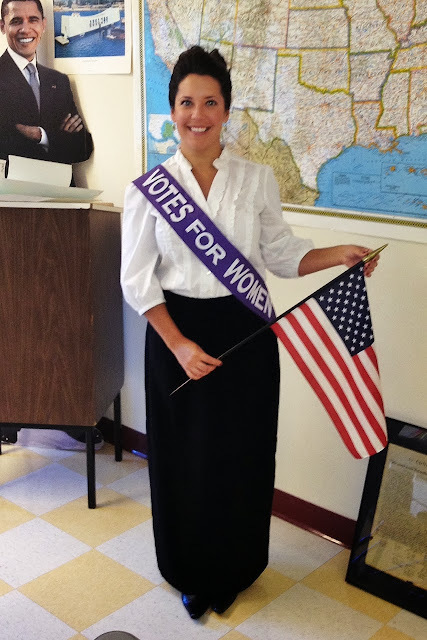 I decided to dress as my hero, Alice Paul, a suffragette! -A bun! 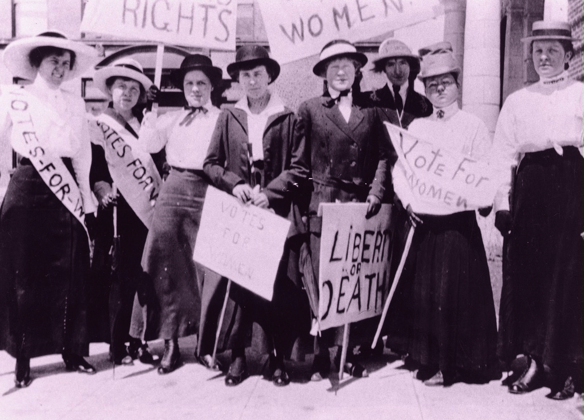 Women of the 1900s era always wore their hair up...and then the chopped it into a bob during the '20s! -If you've got a hat, you could add one, too! -A 'votes for women' sash! 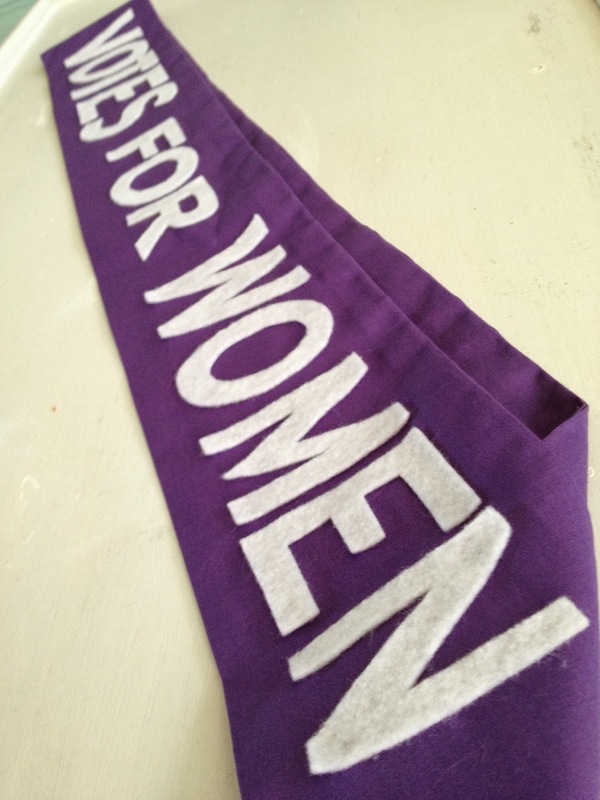 -I made my sash out of 1 1/2 yards of cotton fabric (I would maybe get 1.75 yards if you are taller than me...which you probably are since I'm only 5 feet tall)! -My finished sash was about 4 inches wide and I sewed pointed ends (instead of square ends) to make it a little more stylish. 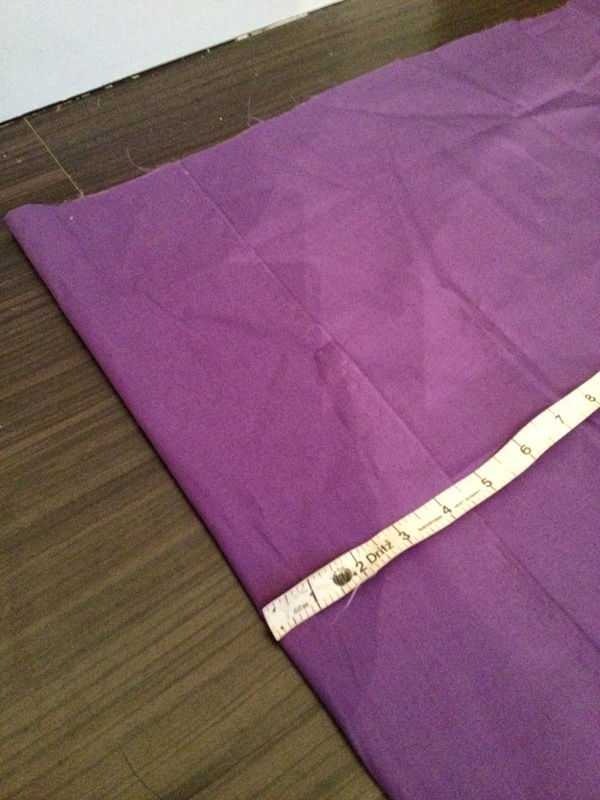 I overlapped the two ends and tacked them together with my sewing machine. 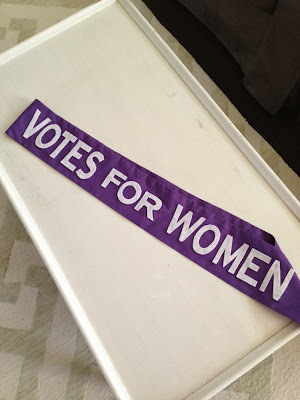 -I printed 2 inch tall VOTES FOR WOMEN letters onto regular paper and used the letters as templates for cutting out the felt. Fabric glue was used to secure the letters. 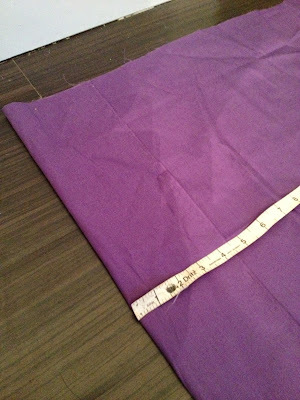 If the sewing route seems too complicated or time consuming, the easier route would be to purchase satin ribbon instead! You could even buy pre-cut letters (although I don't think they are usually 2 inches tall) and simply stick them onto the ribbon!